The medina of enchanting Fez in Morocco is overwhelming. As if your are going back in time and walking through the Fata Morgana of the Efteling. You'll pass someone working with wood or leather, an authentic bakery, a seller of leather bags or souvenirs, a donkey with his load. You will get lost for sure, even when assisted by modern navigation tools. 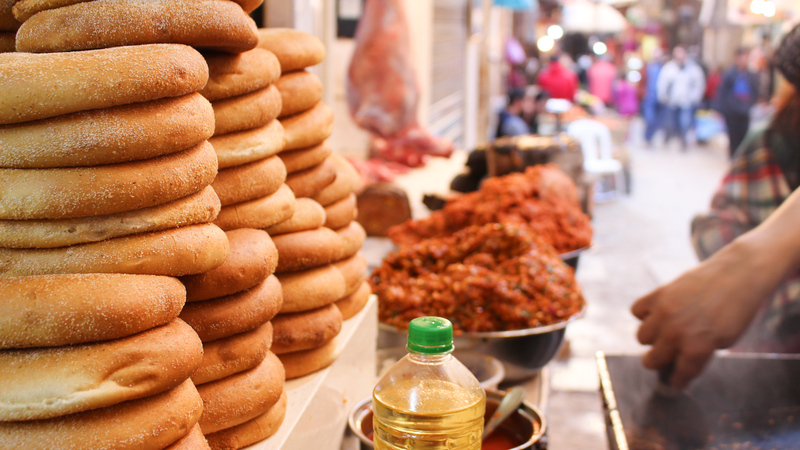 So after all that endless wandering in the narrow medina streets you are undoubtedly ready for some food and drinks. We selected the best spots! This is without a doubt one of the nicest restaurants in Fez. 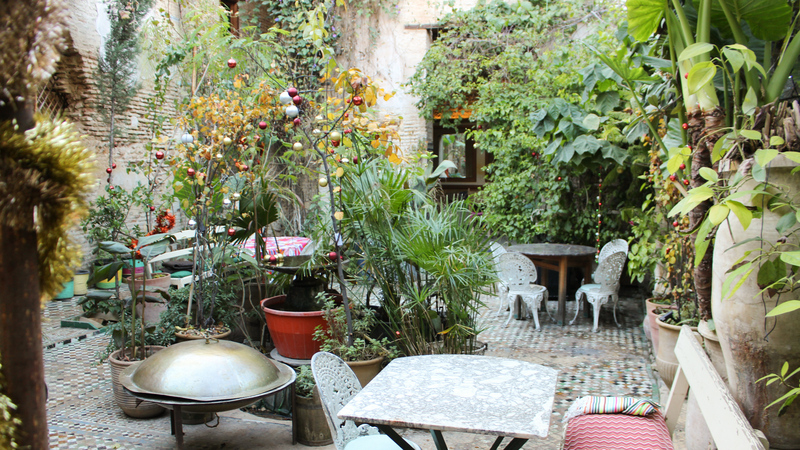 In a green courtyard you can enjoy fresh juices and Moroccan dishes for a good price. With an almost vegetarian menu, this spot is also perfect for the vegetarians like me. We saw that The Ruined Garden is also hosting cooking courses, how cool! Can you not get enough of the activity of the buzzling medina? Nacho Mama is located in one of the busiest medina streets and has tables on the street. Perfect for people watching! There are tacos and nachos on the menu (also vegetarian options), so this is a nice spot for the travellers who are fed up with the traditional tajine. 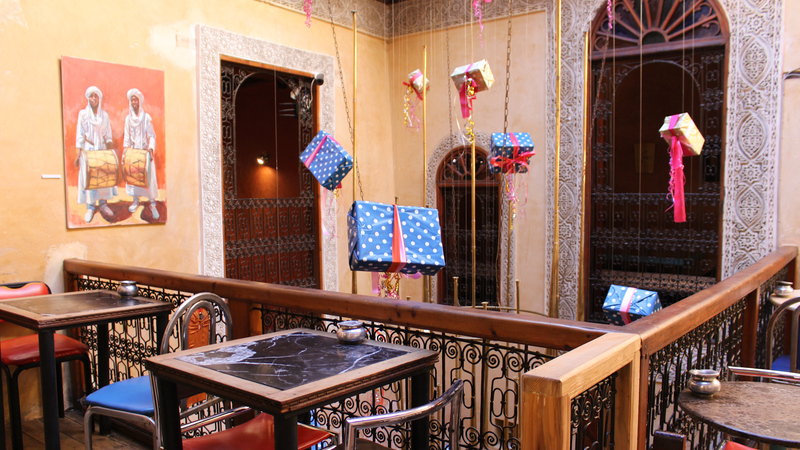 You will not see a lot of daylight in the busy medina, so look for a rooftop terrace to get for your daily dose of sun. Clock Café is close to the Blue Gate and is one of the most popular spots in town. Do not let the dark alley scare you away, this really is the street leading to one of the busiest hotspots of Fez. You will be rewarded with a beautiful view over the medina! In doubt between a rooftop terrace or people watching? Restaurant Bounania is your spot! Do not expect anything fancy or modern, but go to this restaurant for the good prices on the menu and the best view of the crowds at the Blue Gate. 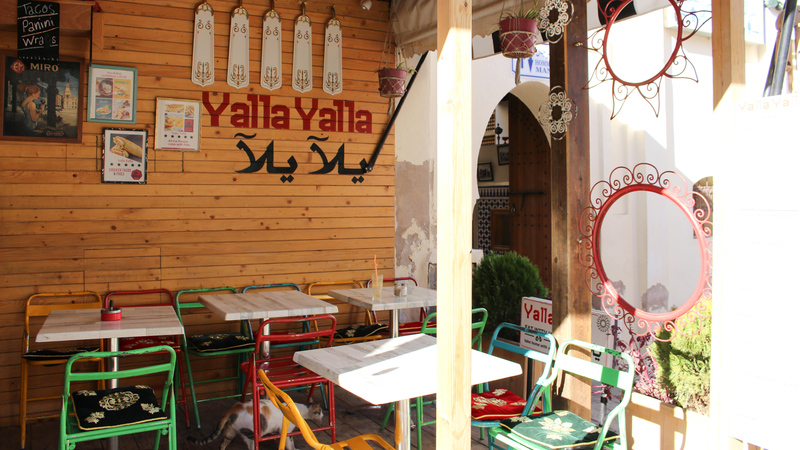 Just outside the medina, close the Blue Gate, you will find the small Yalla Yalla. A good spot if you want to get out of the medina and conveniently located on the route to the quiet park Jardin Jnan sbil. 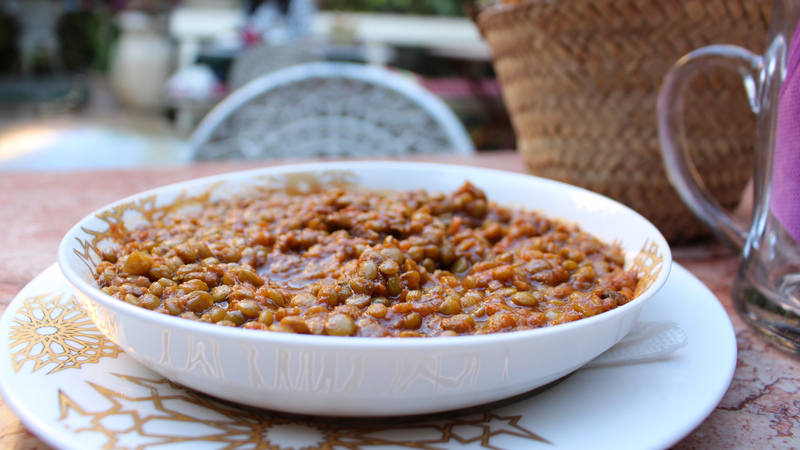 The harira - a Moroccan soup with tomato and lentils - costs only a few euros and was the tastiest one I have eaten in Morocco! 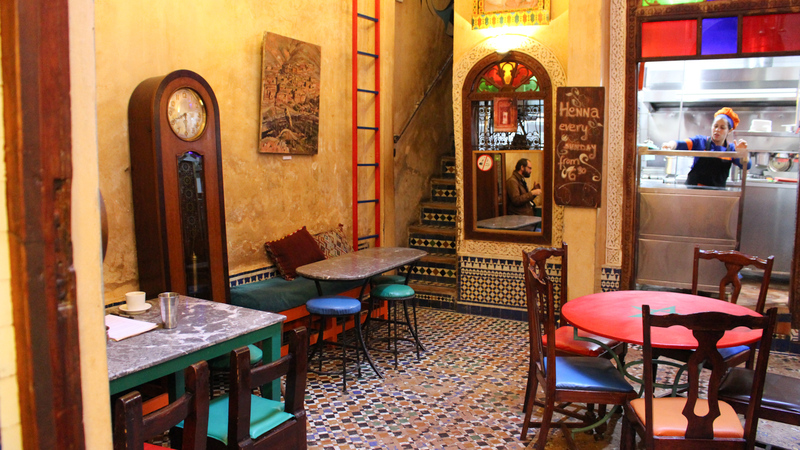 If you leave the larger tourist streets of the medina, there is a chance that you will pass Fez Café. A wonderful peaceful oasis with a large courtyard! Do not look here for small prices on the menu. A beer costs 50 dirhams (more than 5 euros). 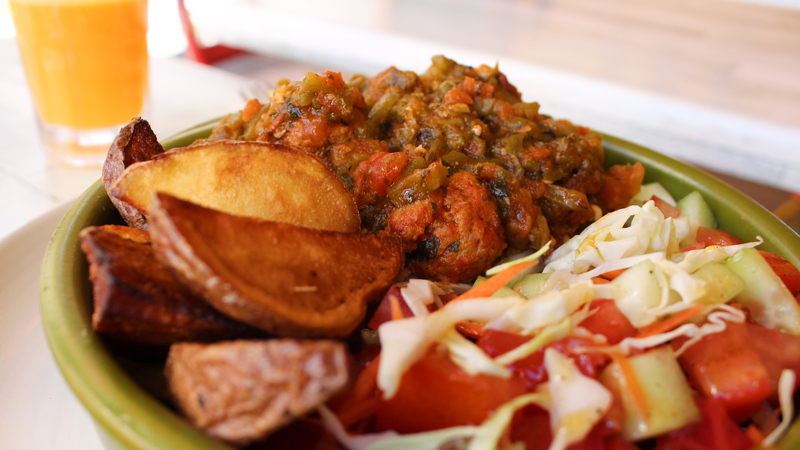 Do you want to eat like the locals do and are you looking for the smallest prices? Eat from the stalls on the street! For 3 dirhams (about 30 euro cents) we ate great cookies, for about an euro the butchers near the Blue Gate sell meat sandwiches and we only paid 10 dirhams for two cakes at a small stand in the medina.